I have a friend moving away (boo) and made her a care package for her car didn't want to do a card since I handed it to her before she left figured a nice tag with a hand written note on the back would be enough. Life has been crazy here - funny how you get on a Design team and doing your own blog and time just seems to disappear - plus 2 weddings - and well… Life 3 Kids & 3 Dogs (yes I'm crazy) My thought of each kid walking a dog didn't work out the way I was thinking..
Below is a photo of the kids..
OK Enough sharing of my personal life…. Below is photos of putting the tag together. 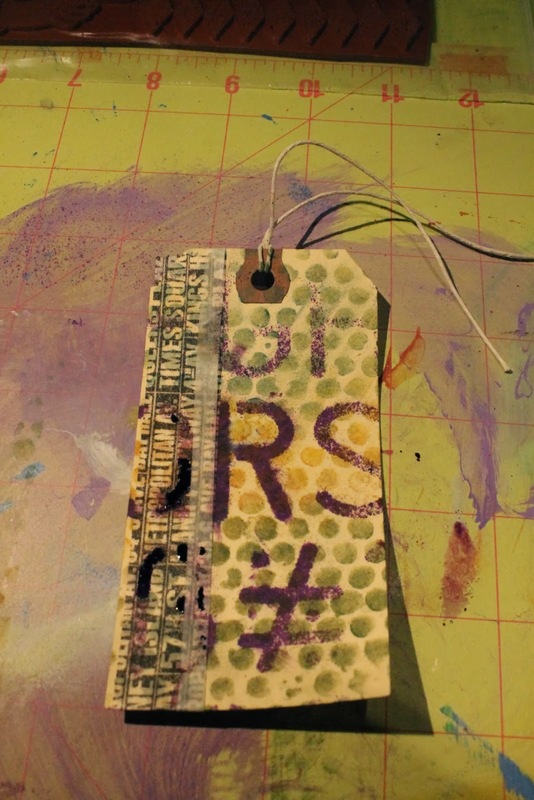 Started out with a Blank Tag - you can use any brand - I got these off ebay. Wanted something else - so pulled out some old stickers - not sure of the brand they are out of the package - and just placed them in random way on the bottom of the stamp..
Then I went over it with Gel Medium to make sure they don't lift. I then pulled out some Yellow Paint by Blick Art Store and went over the whole thing.. was trying to lighten it up. HATED IT. So Stamps to the rescue and nothing better than Sin City Stamps. I used the Classic Spark - they come in a great Plate of Red Rubber you just cut them to size. It's hard to see it but I used the large Triangle Background with a Silver Ink Pad - close up you can see the image. 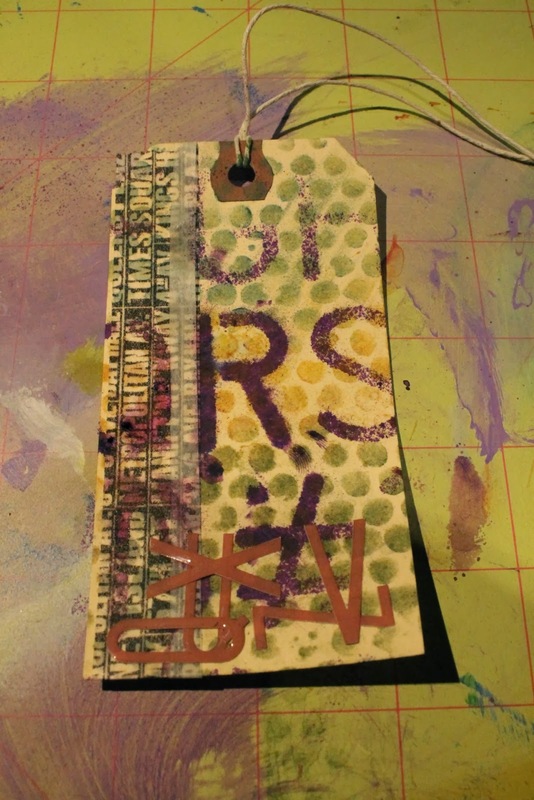 Then used the Car stamped on a separate tag and then cut out. 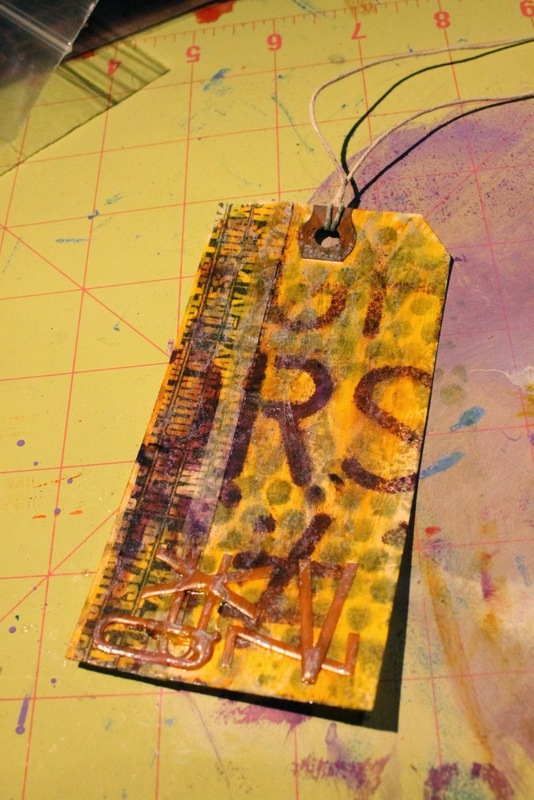 Once cut out - I used Silks Acrylic Glaze - Carmen & Silver Bells to paint the car and mounted it on the bottom of the Tag. 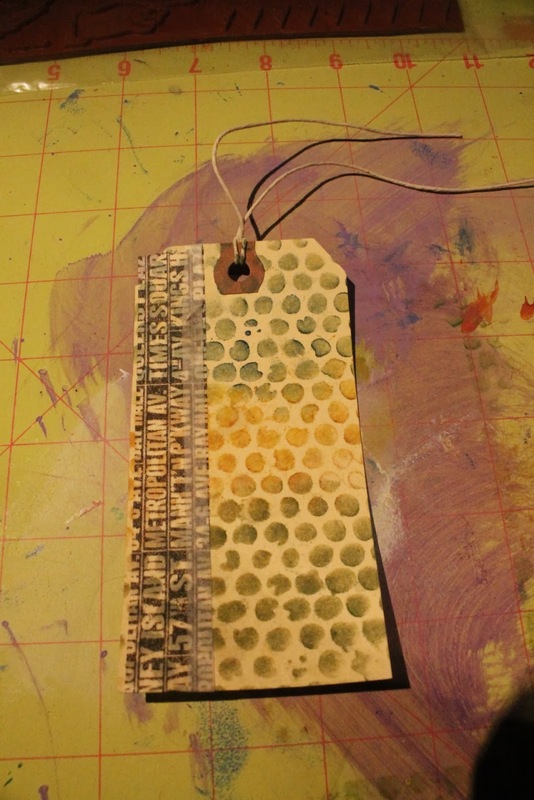 The tag still was too dark & yellow at this point so I pulled some Gesso out and a just smudged some onto the tag. I then mounted the wings on the tag as well. Finally I pulled out some alphabet stamps - Very sorry but I don't know the brand but if I had to guess they are either Close to my Heart or Stampin up product. 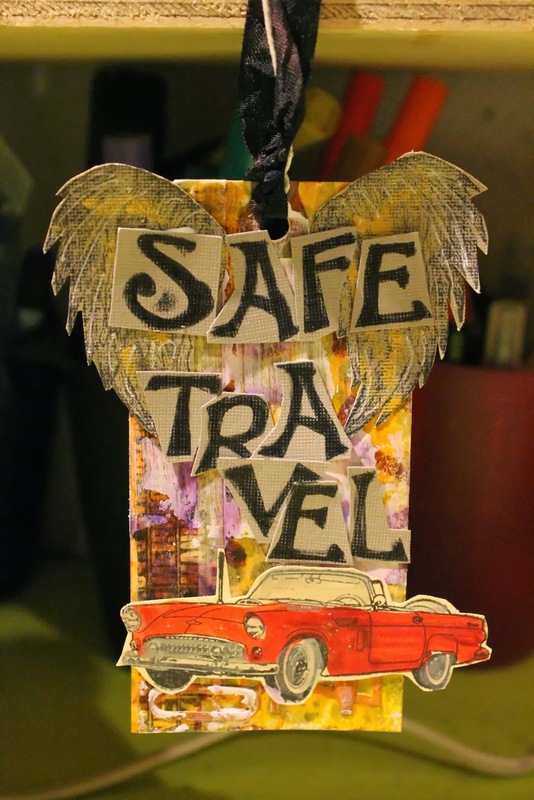 I stamped out the letters - Safe Travel onto the same Grey Cardstock - cute them out and mounted them on the tag. I used Stayon Jet Black Ink. I then pulled out my Pitt Pen - Black Medium to fill them in and make the black pop. I planned for the letters to be took big and have to layer them on top of each other - I just loved that look. I also used a White Gel Extreme Pen and did some doodling on the Angel Wings and Car headlights..
Added some handmade Ribbon (purple) and had the tag. Thank you for looking at the blog - please make sure to stop at the store and pick up some great rubber stamps. The quality is top notch!!! I just love them. Love your tag, Lisa. I especially love all the textures and elements on it. I know your friend just loved it, too.